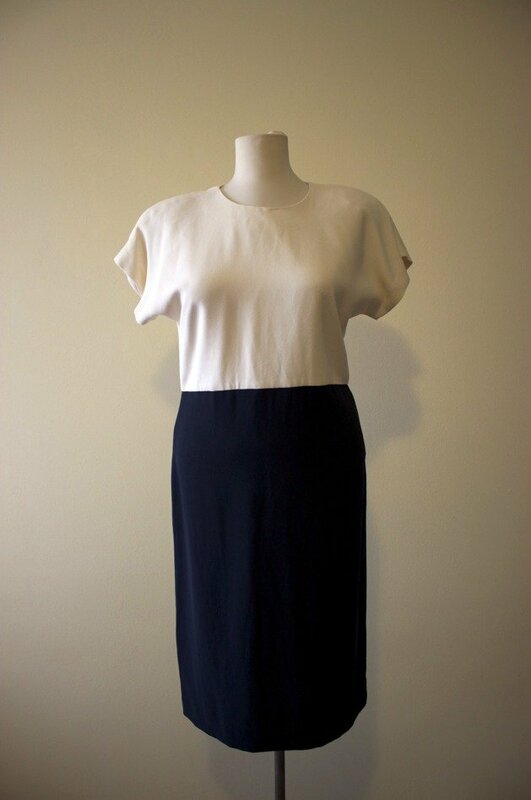 A striking 1980's secretary dress. It's in white and black colours. Perfect for the office or a fun night out. 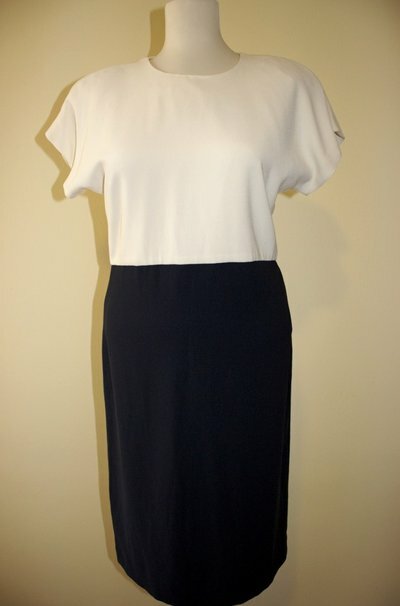 Smartly tailored, this dress is sophisticated enough for the workplace ….. it's corner office appropriate yet romantic enough to wear on a dinner date or for cocktails after work with the girls. Shoulder pads. There is 57cm long zip at the rear of the dress. Brand: Liz Clairborne dresses. Made in Taiwan R.O.C. Standard sizes are given as approximations. Please compare measurements to a similar garment you already own for sizing. 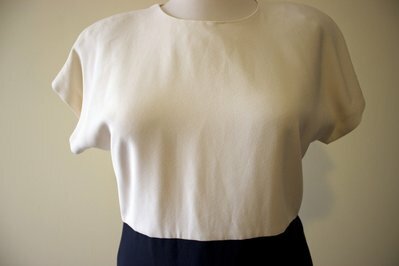 Measurements are taken with the item laying flat and doubled at bust, waist, and hips. Please note, monitor colors can, and do, vary. All the vintage items in my shop are sold in 'as is' condition. I do my best to describe all items accurately. Please feel free to ask as many questions as you need before purchasing any item. Please remember that all my items have had previous owners and are subject to some wear. I will disclose anything extreme such as rips, tears, holes, soiled areas, etc. If I haven't disclosed something in the listing you can be sure that I am not aware of it. I will do my very best as I want you to have a good shopping experience and be happy with your purchase. MINT: Perfect, rare. Never worn. Unused. EXCELLENT: Maybe a minor flaw, garment not compromised and extremely wearable. GOOD: Noted minor flaws, easily repairable, wearable. FAIR: Numerous noted flaws, significant flaws, repairable. AS FOUND: Damaged goods and probably beyond repair. PLEASE TAKE THE ABOVE DESCRIPTIONS IN CONSIDERATION WHEN MAKING YOUR PURCHASE.